Don’t let couples have all the fun! Celebrate your single status and the love of a great group of friends with Galentine’s Day! There is plenty of fun for any group to see and do around York County, so get started planning your trip today! What’s a girl’s weekend without some pampering? Whether you are looking for a massage, manicure, pedicure, or the works, Serenity Spa and Salon at Heritage Hills has you covered (literally, if you go for the mud wrap). After a day of relaxing and leaving your worries behind, head out on the trails. No, not the hiking trails, the Good Libations Trails. No matter what your alcoholic beverage of choice is, there is a tasting for it nearby. 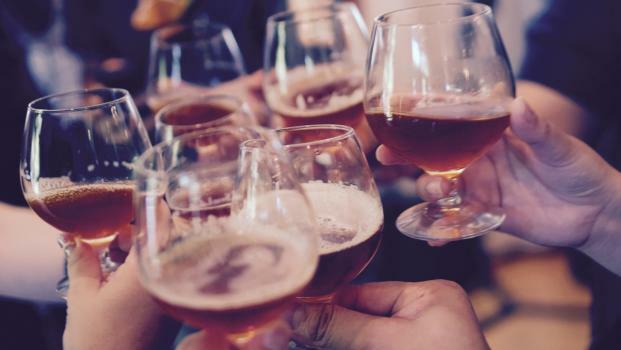 With over thirty local producers of wine, beer, and spirits in York County and the surrounding area, you’ll find something to sip the night away with your friends. If you like a view to go along with your tastings, check out Moon Dancer Winery, Cider House & Tap Room in Wrightsville. This winery is set high above the Susquehanna River, giving you views of the water that will take your breath away. If it’s cocktails you love, the Keystone Craft Spirits Trail is where you need to be. Each stop along the trail offers unique hand-crafted cocktails prepared with their own spirits. Check out the newest addition to the trail, Crostwater Distilled Spirits for a French Espresso Martini that will knock your socks off. Bonus: you’ll be supporting a woman-owned and operated business. What’s more Galentine’s than that? If you are in the mood for some chocolate on your Galentine’s day getaway, check out the recently released CocaMoca chocolate, hazelnut, coffee milk stout at Lydian Stone Brewery. This intimate brewery is the perfect setting to relax with your friends and enjoy the latest brews concocted by owners Keith and Pete. Good news, calories don’t count during Galentine’s Day! There is no better place for a calorie free-for-all than York County. Visit Martin’s Snacks just outside Hanover for a front-row look at how your favorite chips, pretzels, and popcorn are made. You’ll even get a taste of these salty sensations still warm from the fryer. Need some sweet to balance out all that saltiness? We have three excellent choices for homemade ice cream. 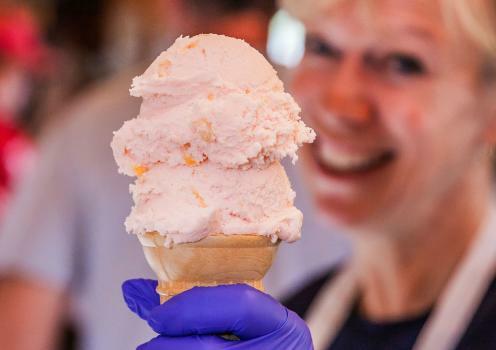 At family-owned Perrydell Farm, you can pick from 30 different flavors, including the flavor of the month, all made using the cream from their own dairy operation. Sweet Willows Creamery offers a bevy of artisan ice cream, with dozens of different flavors to choose from including fan favorites like Chocolate Lover’s Peanut Butter, Wild Maine Blueberry and Indonesian Sumatra. The Village Coffee & Cream has plenty of freshly-churned flavors to explore. All the classics are there or treat yourself to an extra special treat with a kick such as a coffee float or an affogato (espresso poured over ice cream, it’s as good as it sounds). If it’s retail therapy your group craves, look no further! York is full of unique shopping opportunities. Start your spending spree in Historically Edgy Downtown York where you will find Central Market. Weave among the many stalls offering delectable food, hand-crafted kitchen accessories, or quirky jewelry and discover that one of a kind item that will make everyone back home jealous. Just steps outside Central Market is Sunrise Soap Company. Not only can you find sweet-smelling soaps, lotions, and bath bombs to take home with you, but you can also get in on the action by making your own batch of shower necessities. 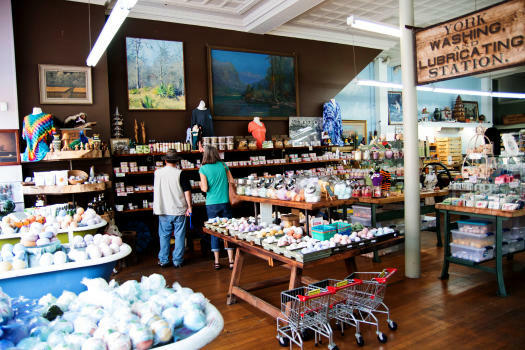 For those that like their shopping excursions with a side of history, there are plenty of antiquing opportunities around the county. The Dover Antique Mall is an incredible place to shop for old and special treasures — just be sure to set aside ample time to look through the expansive space housing over 130 vendors. Lewisberry Antique & Craft Co. is a co-op that hosts 25 antique dealers and craft vendors, with inventory that changes every week. From glassware to greeting cards, baseball cards to barn stars, silk rugs to silver jewelry, there is so much to find at this one-of-a-kind market. Morning Star Marketplace is known for a great selection of used and rare books, nostalgic toys and comics, old tools, glassware (we love the vintage milk bottles) and jewelry.